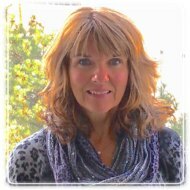 London Therapist: Susan Abercromby - Therapist N6C 4T5. I have been a practicing clinician since 2000. I have a Masters in Education (Counselling Psychology) from The University of Western Ontario. I am a Registered Psychotherapist with the College of Registered Psychotherapists of Ontario; a regulated professional in Ontario with the Regulated Health Professions Act. I am also a Certified Canadian Counsellor with the Canadian Counselling and Psychotherapy Association. * I am covered by some Green Shield and Blue Cross Insurance Plans and some Manulife Plans (specifically the TVDSB). Over the last 18 years I have had counseling experience in the treatment of children, adolescents, adult men and women and families. I have worked and specialized in Adult and Children's Mental Health, Crisis and Family Support, Sexual and/or Domestic Violence, Separation and Divorce, Therapeutic Access, Community Counselling Agencies, and Group Treatment. I have been in private practice for 5 years. I also have experience working with Employee Assistance Programs serving clients experiencing work place stress and more. I have extensive public speaking and training experience. I also am a qualified supervisor of Master's level students from the universities both in London and Toronto. It is my joy to share the counselling field with students in a reciprocal learning relationship. I have a voracious appetite for reading and learning and I stay current with new evidence informed developments in the psychotherapy field, in order to best serve my clients. I believe that healing happens in the therapeutic relationship between client and therapist. I provide a safe, warm, nurturing and confidential environment to help you to explore your thoughts and feelings. I will be your guide and will work cooperatively, with sensitivity and with unconditional regard for you. It may take some time but, we will work together in your best interest. My clinical expertise and experience will honour each person’s unique abilities and challenges. I believe that the counseling relationship is central to the healing process. I promise a safe and nurturing environment with respect for your individual needs and wishes with compassion and care. About the Counselling Space: My office space location is available upon request. Free parking is available and close to a bus stop. Choosing a therapist can be a difficult process, therefore, I am available for any questions or queries that you may have, at any time. Your mental and emotional health is as important as nutrition and physical exercise. It is consideration of the whole self. You deserve to feel good about yourself! I look forward to meeting you.